Marchionne: Working on a plan to "purify" FCA's operations. MONZA, Italy -- Fiat Chrysler has not received any offer for the company nor is the world's seventh-largest automaker working on any "big deal", CEO Sergio Marchionne said on Saturday. 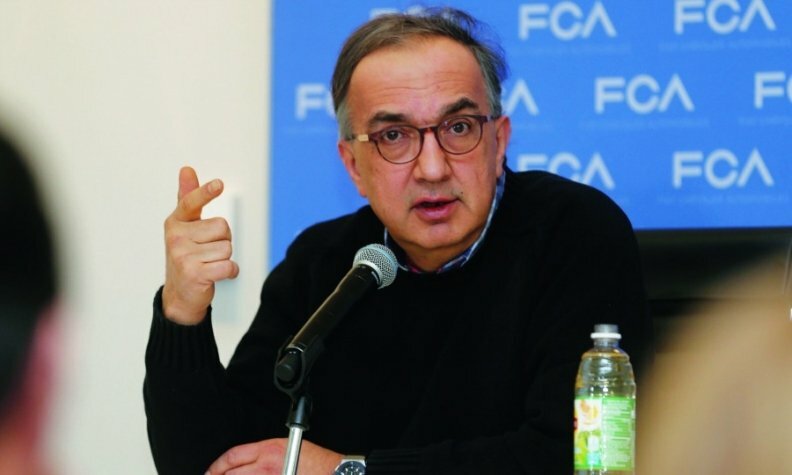 Speaking on the sidelines of the Italian Formula One Grand Prix, Marchionne said FCA management's focus remained on executing the company's business plan to 2018. Asked whether FCA had been approached by someone or whether there was an offer on the table, he said: "No." The company's share price jumped to record highs last month after reports of interest for the group or some of its brands from China. China's Great Wall Motor openly said it was interested in FCA, but has not held talks or signed a deal with executives at the Italian-American automaker. The rise in the company's share price was also driven by expectations that the company might separate some of its units. Marchionne reiterated on Saturday that FCA was working on a plan to "purify" its portfolio and that units, such as the components businesses, would be separated from the group. He hopes to complete that process by the end of 2018. "There are activities within the group that do not belong to a car manufacturer, for example the components businesses. The group needs to be cleared of those things," he told journalists. He said the time was not right for a spin-off of Maserati and Alfa Romeo and that the two brands needed to become self-sustainable entities first and "have the muscle to stand on their feet, make sufficient cash". "The way we see it now, it's almost impossible, if not impossible, to see a spin-off of Alfa Romeo/Maserati, these are two entities that are immature and in a development phase," he said. "It's the wrong moment, we are not in a condition to do it." He said the concept of separating the two brands from FCA's mass market business made sense and did not rule out this happening in future, but not under his tenure, which lasts until April 2019. "If there is an opportunity in future, it would certainly happen after I'm gone. It won't happen while Marchionne is around," he said.